Dont let it ever be said that we dont enter into the spirit of Christmas by consuming as much guilt free chocolate as we can at OfficeStar! 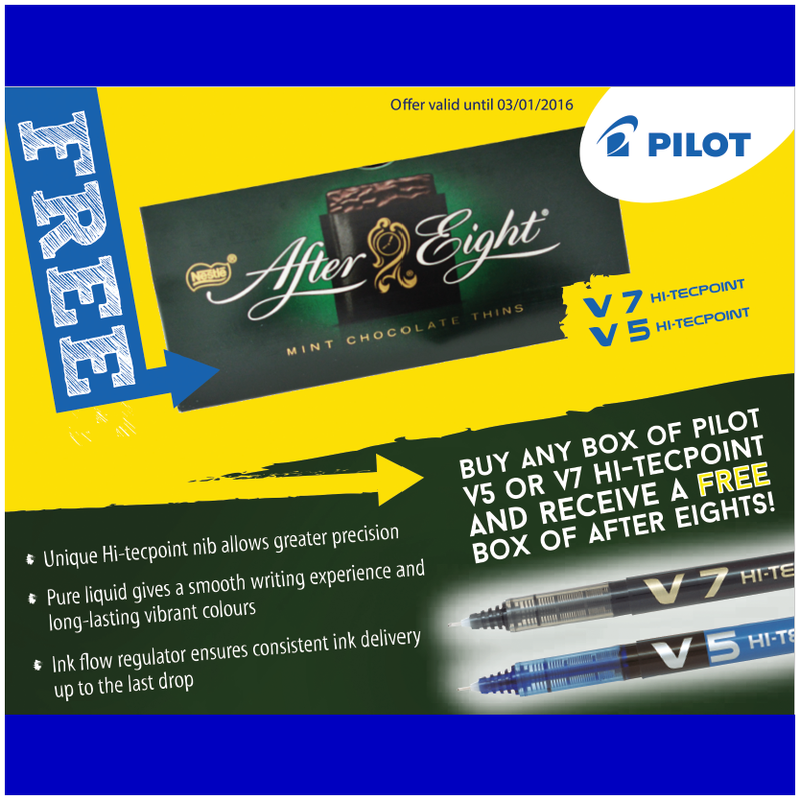 So if youre feeling a little glum on this gloomy day why not treat yourself to a quality rollerball pen and a FREE box of After Eights – yum yum. 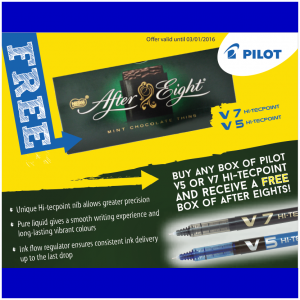 Free delivery for this and for all local office supplies orders. Phone one of our friendly, knowledgeable team on 01594 810081 or visit our discount office products website at www.officestar-group.co.uk/?offers. Yes its that time of year again when shopping is taking over our lives and if it wasnt painful enough doing all that shopping and parting with copious amounts of money we havent got, then we have to wrap them. Bah Humbug. 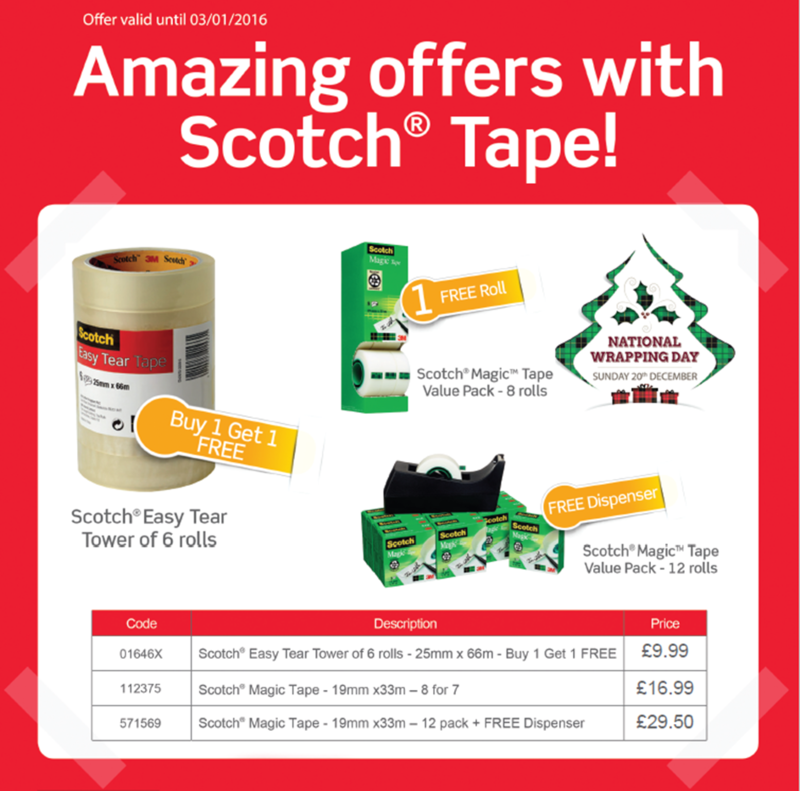 So to help ease your pain, we have some brilliant Scotch Easy Tear tape and Scotch Magic tape on offer which will mean that you will part with less cash for wrapping than you would have, have trouble free wrapping saving you your sanity and we will deliver it to you so you dont even have to visit the shops. Result. And dont forget! Free local delivery as always of your stationery orders to Gloucestershire and Monmouthshire.